Thematic Thursday-Spiders, Spiders Oh My! 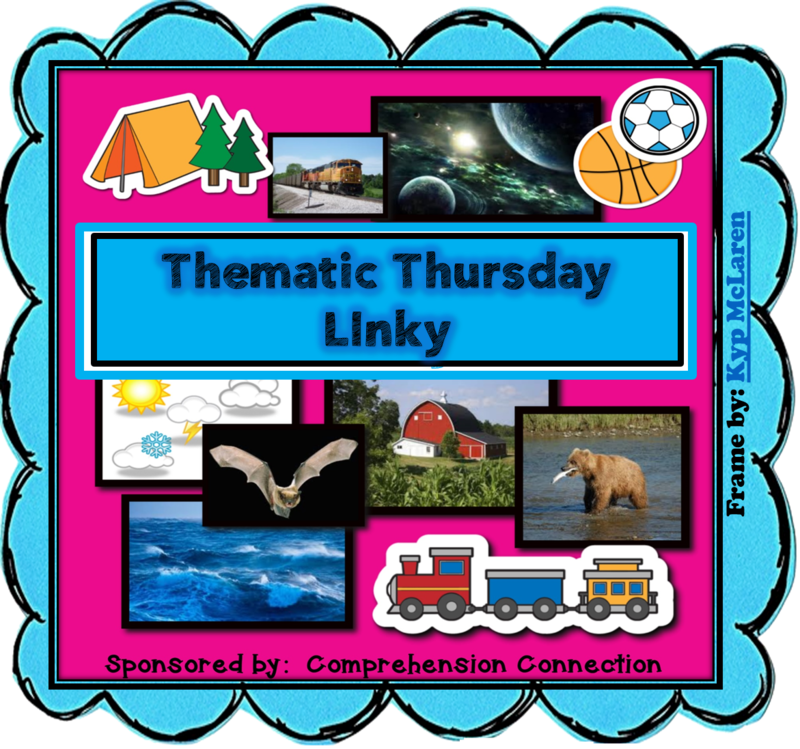 Thematic Thursday is a weekly teacher linky party focused on the sharing of ideas for a different theme each week. 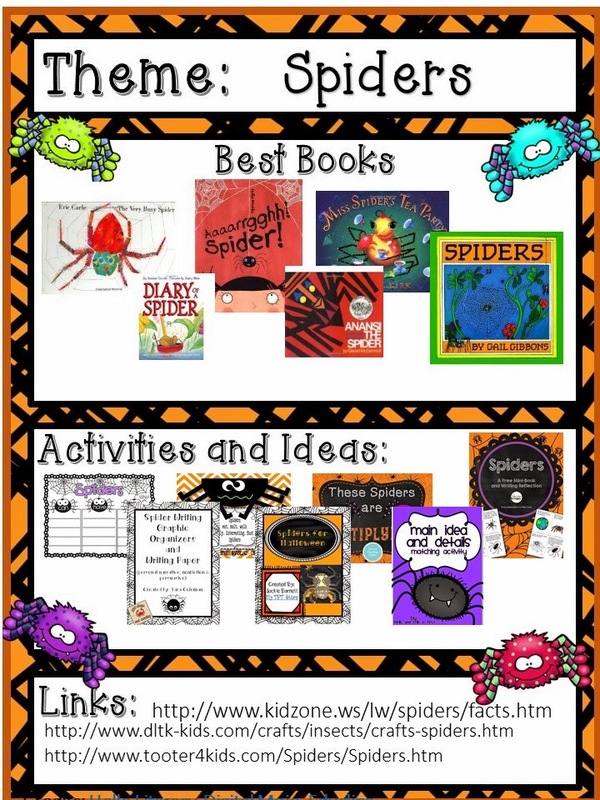 This week's theme is "Spiders, Spiders Oh My", and bloggers are asked to share their favorite resources, book ideas, activities, and suggestions to help students learn about spiders. Please grab the image above as well as the template below, write up your post sharing your ideas, resources, and anything that fits the theme, and link up your blog name and intended grade level for the resources and ideas you share. (Example-Comprehension Connection-4th and 5th) Please remember that this link up is for blog posts only. No store links will be allowed even with freebies as the hope is for readers to return to these themes later in the year or when they wish to focus on the theme. Many themes can be used any time of year. The image below can be used to pin your posts too. [This Board] has been formed to collect resource pins. Welcome to another fun week with Thematic Thursday. I am so excited you found my blog, and I have a few resources to share with you. 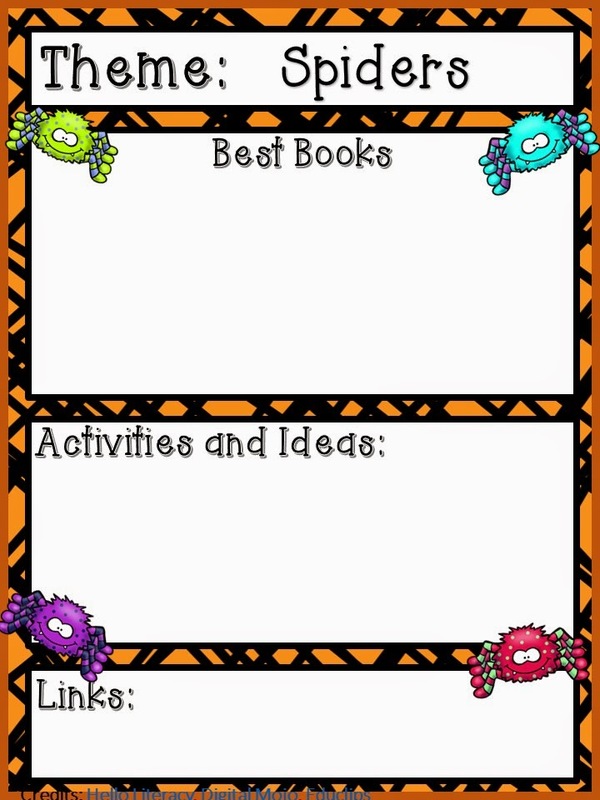 I have been working with my students on close reading strategies, and I had planned to create a nonfiction set about spiders. Well...time got away, and I haven't finished it yet. I hope to upload it sometime this week and share it via my Facebook page, so be sure to follow me [there]. Interestingly, many children are fearful of spiders, and I'd say we are somewhat to blame for tying spiders to Halloween and spooky things. This time of year might be a good time to learn about arachnids as helpers in our ecosystems. To plan this theme, I have several go-to books. I love The Very Busy Spider, The Diary of a Spider, and Spiders by Gail Gibbons. I like to use a blend of fiction and nonfiction texts, and although the first two are fiction, both authors do quite well with weaving in factual information. On the planning sheet, you will find thumbnails of several freebies on Teachers Pay Teachers too. If you open this link, you'll be able to download a pdf copy which when opened allows you to access the linked pages. A printable copy at least reminds you of what the cover pages look like. The links at the end would work well for research and for craft ideas for Pre-K and Primary. Now I promised a surprise earlier in the week, and that is a freebie! Last year, I made this unit to go with a very popular book by Eric Carle, but I learned that he has all the titles of his books trademarked. I decided to revise the unit to make it more of a thematic unit. There are pages that go with his book included, but you can use it for other spider literature too. The unit will return to its regular price at 10 PM Thursday EST. Before you move on to your next Bloglovin post, you might wonder what next week's theme is. Well I will not keep you in suspense any longer. 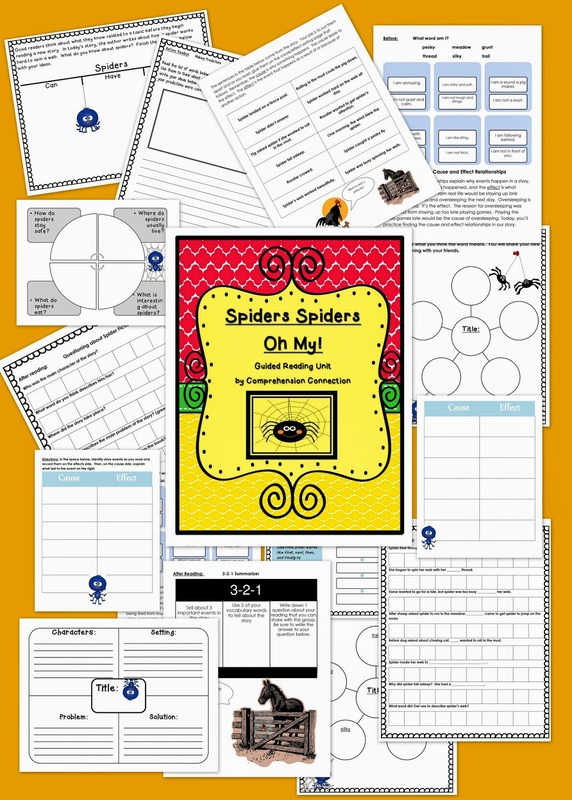 Thematic Thursday will be joining forces next week with Math Madness at Teaching Momster. You can blog about Pumpkin Math Resources on Wednesday and Reading on Thursday or together in one post. We look forward to seeing all the great Pumpkin resources next week, perfect for this time of year. Here is the Math Madness post header for your convenience. Thanks for dropping in, and just think...one more day til the weekend! Hi! I am so glad I found your blog. I just love it. Thanks so much for sharing!! !